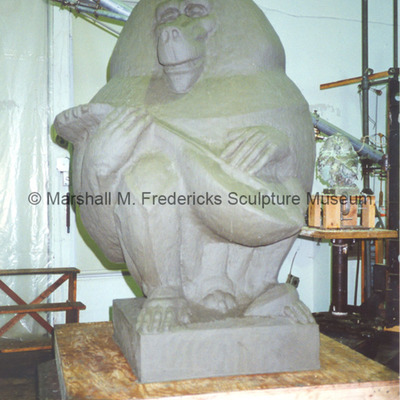 Armature for Baboon Playing a Mandolin. 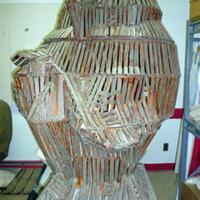 Wood armature has some areas of clay residue. 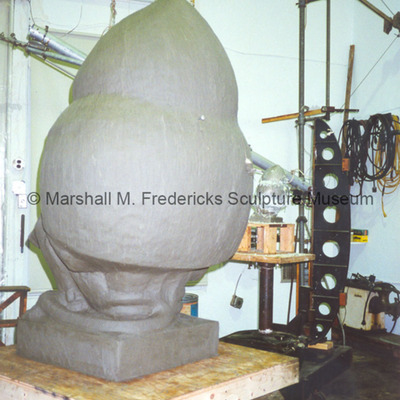 Armature is in two sections. 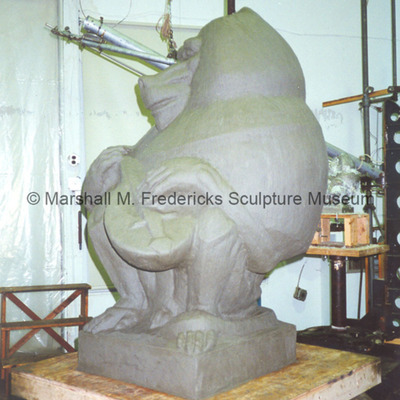 Bronze "Baboon Playing a Mandolin"
Full-scale bronze of "Baboon Playing a Mandolin”. 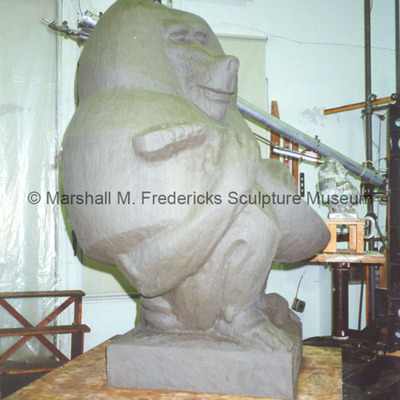 A casting of this work is in the children's garden, Community House, Birmingham, Michigan. 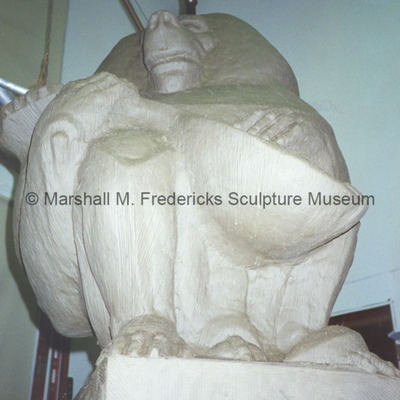 Full-scale plasteline model of "Baboon Playing a Mandolin”. 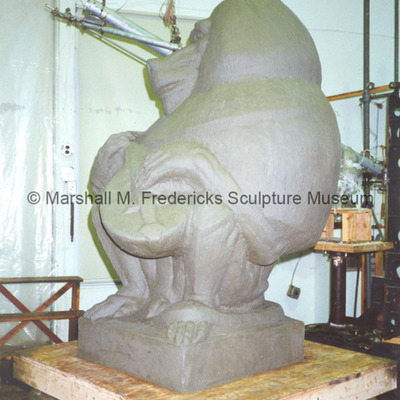 A bronze casting of this work is in the children's garden, Community House, Birmingham, Michigan. 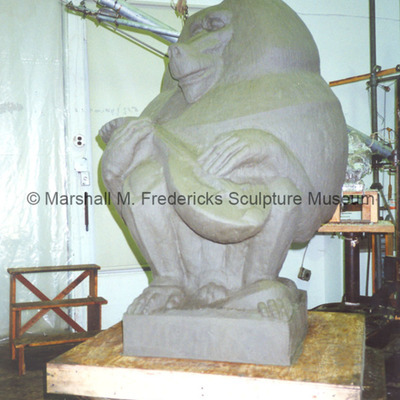 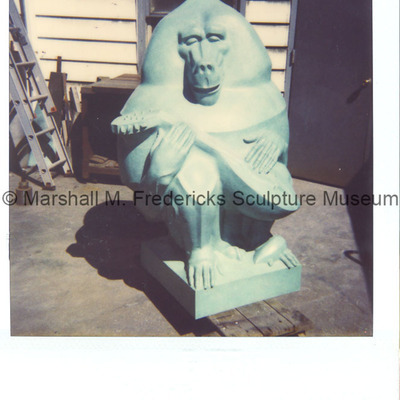 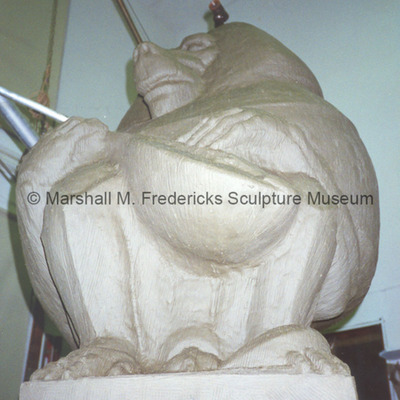 Full-scale plasteline model of "Baboon Playing a Mandolin"